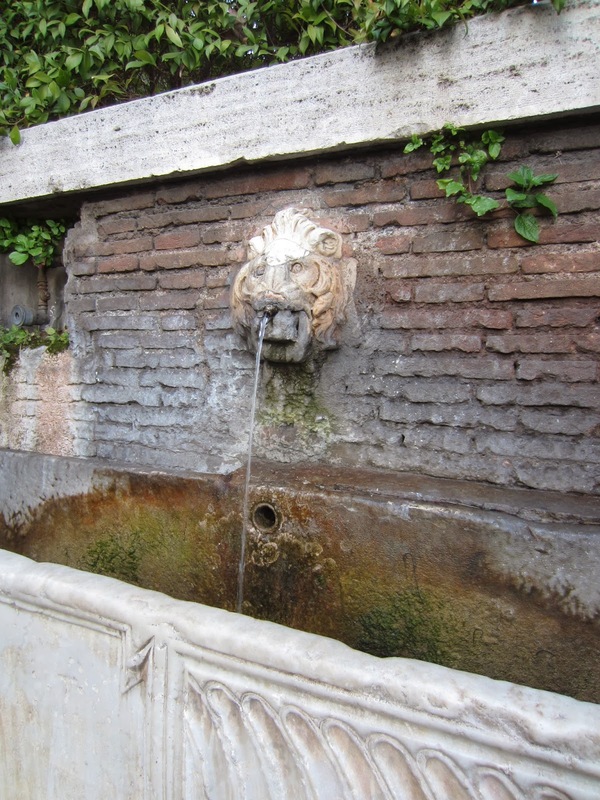 There are certain things you see over and over in Rome, cats, ruins, repurposed buildings, pavement cafes, tourists and lots of fountains. Wikipedia claims there are fifty monumental fountains and a total of two thousand fountains of all kinds in Rome, though as a recovering academic I'm always dubious when they say "citation needed." 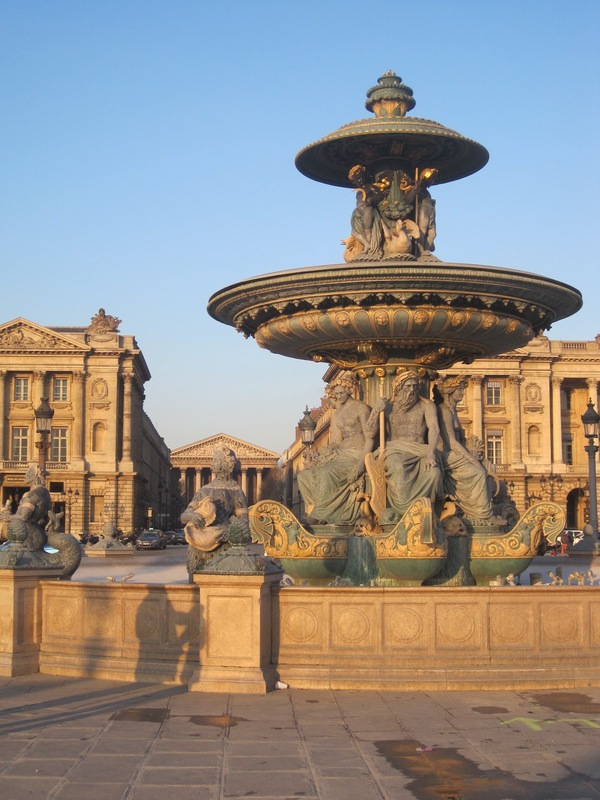 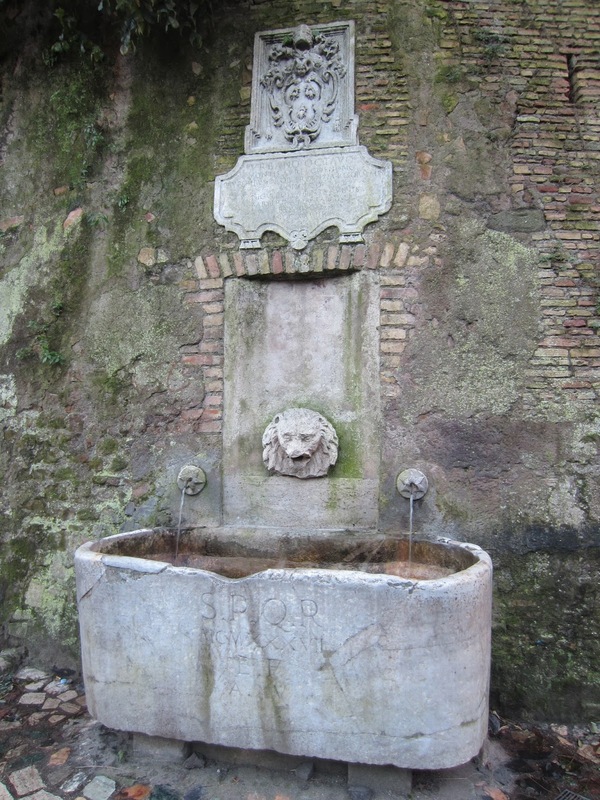 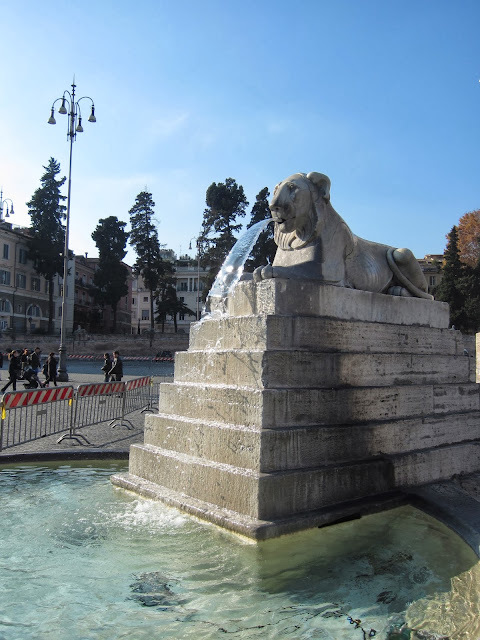 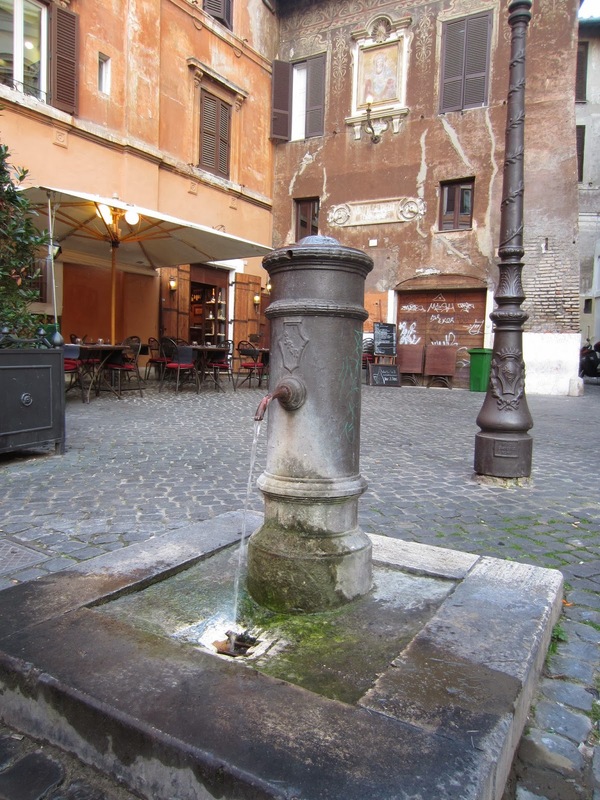 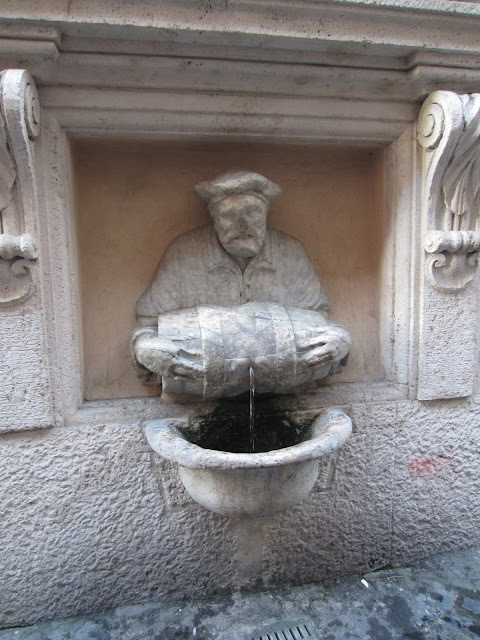 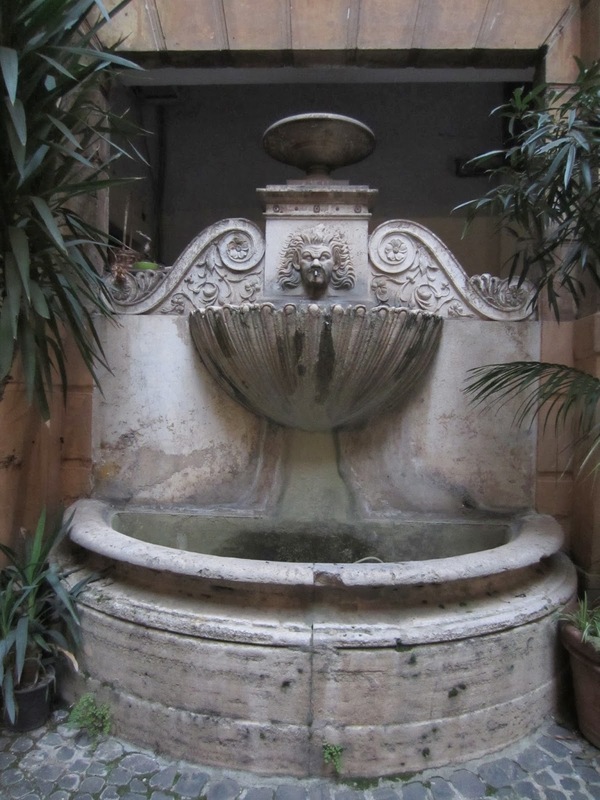 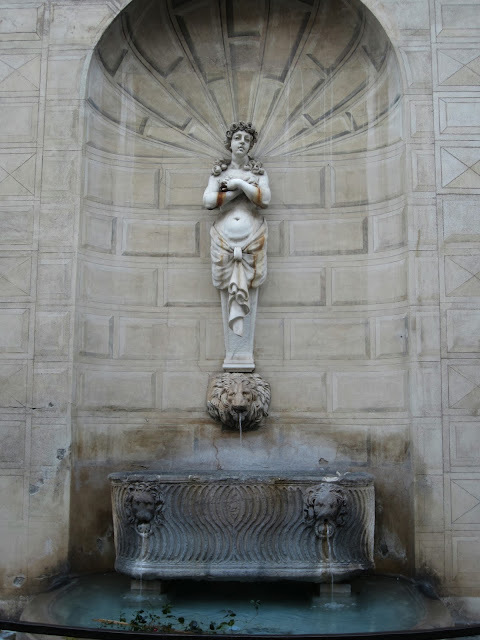 Of course we all remember the big ones, the Trevi Fountain or Bernini's magnificent Fontana die Quattro Fiumi in Piazza Navona, but I'm talking about the everyday fountains where you can stop for a drink or to refill your water bottle. 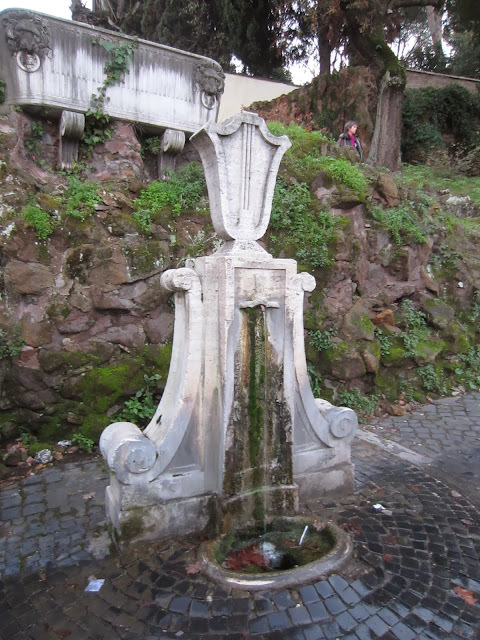 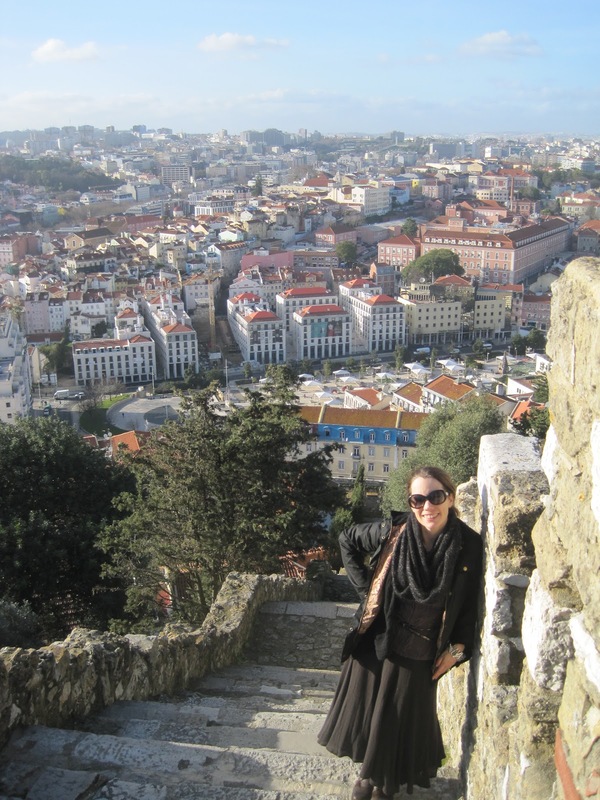 As you can see in the photos many of them are created by reusing sarcophagi and you'll find them all over town. They are so lovely and so varied though lions and gods remain popular motifs. 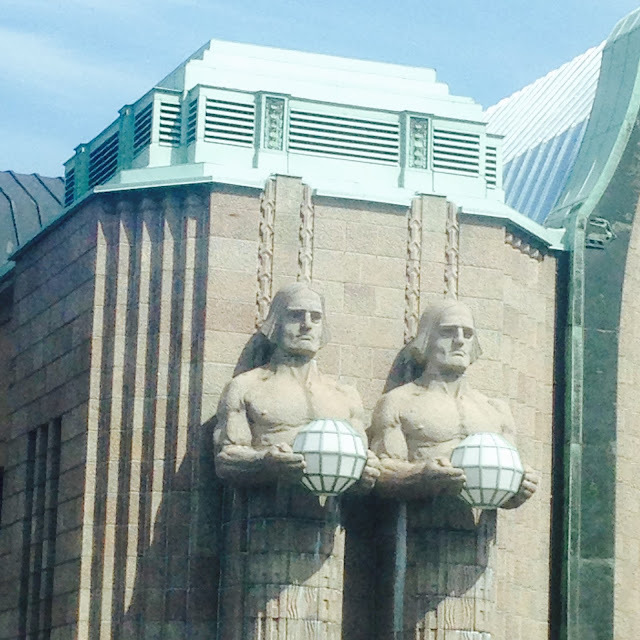 Here's the more quotidian version you'll see all over town. I saw a tourist noting online that they presumed it was a broken fire hydrant! 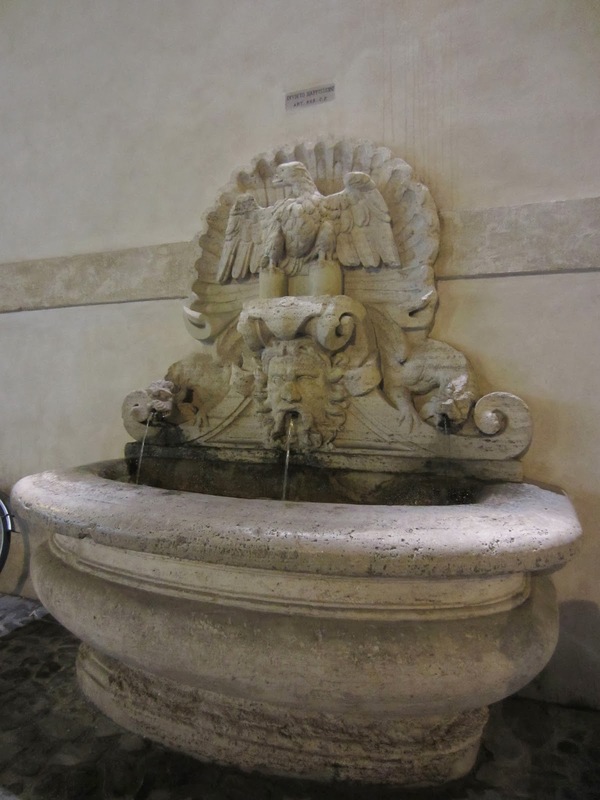 Tip: The most important thing to know is that the nozzle has a small hole on top so if you block the water on the main spout, it will be forced out of the small hole above, turning the tap into a water fountain. 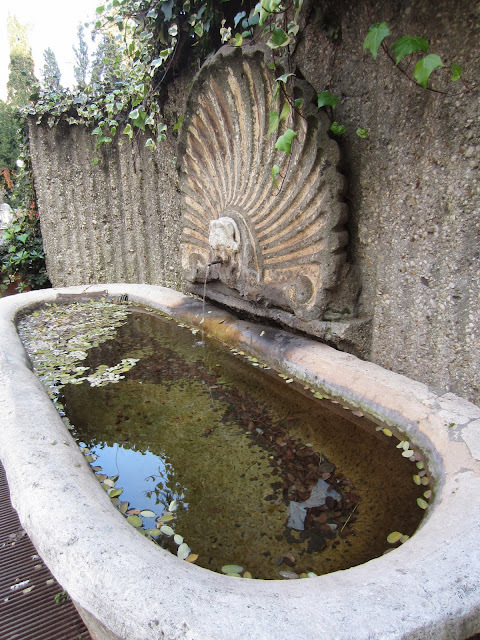 No need to grovel on the floor or use dirty hands the water will come to meet you if you lean down! I couldn't resist ending with this majestic looking lion from the Piazza Popolo below, he is suitably sphinx-like to sit at the foot of an obelix.